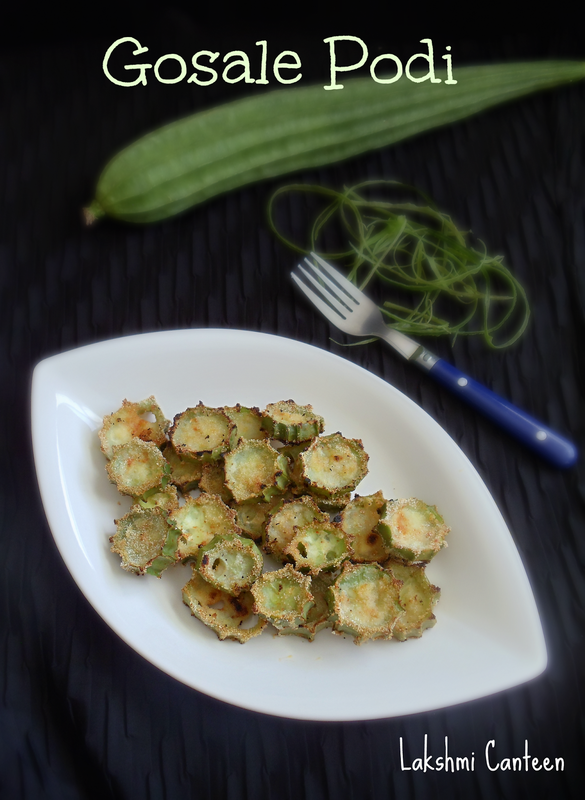 Gosale Podi is a simple side dish made using ridge gourd. 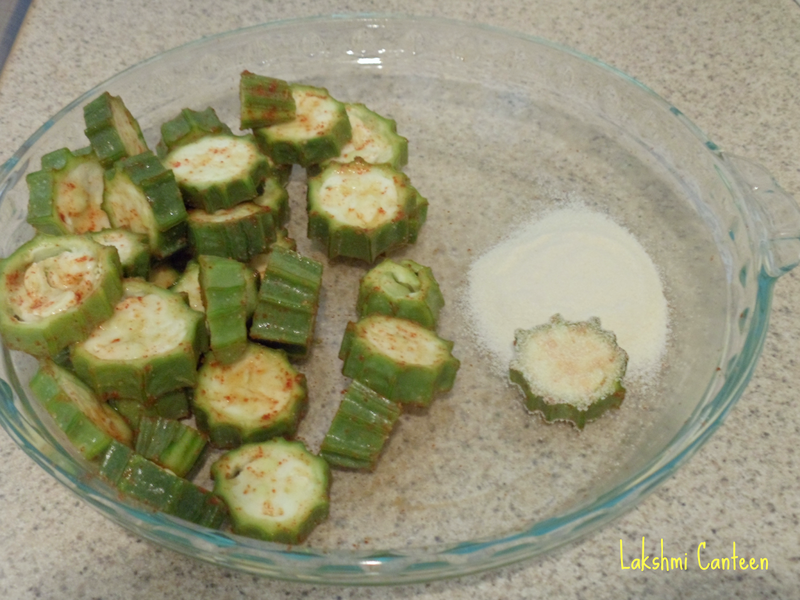 The ridge gourd slices are seasoned and dipped in semolina. It is then fried on a pan until golden brown. 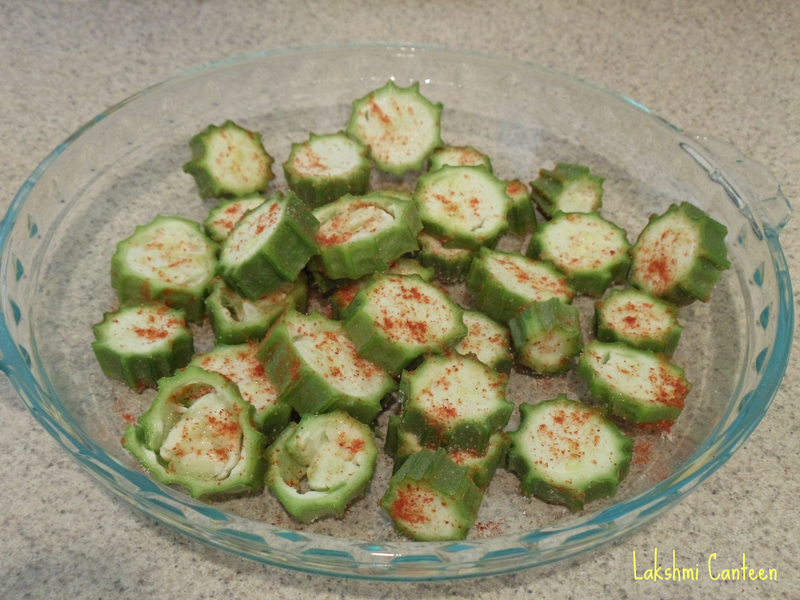 This simple way of cooking ridge gourd was suggested by a friend. 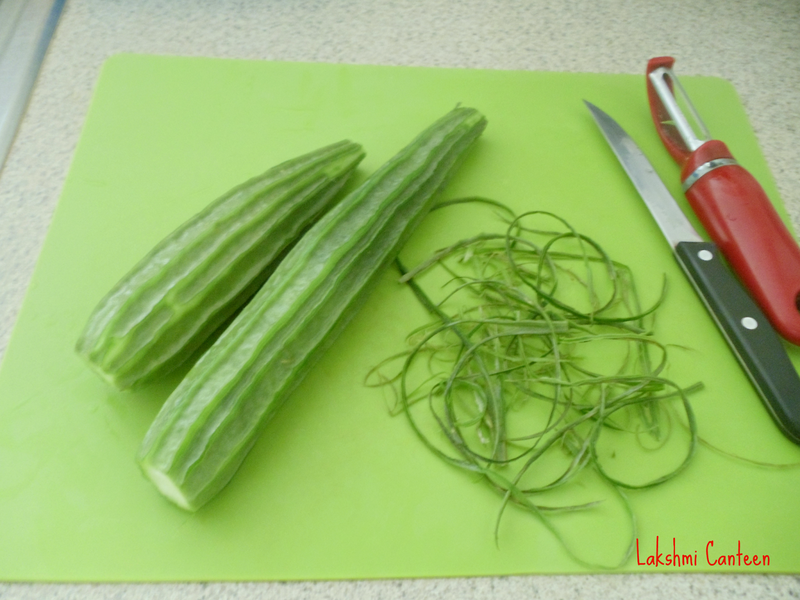 Ridge gourd is one of the vegetables I hated to the core. 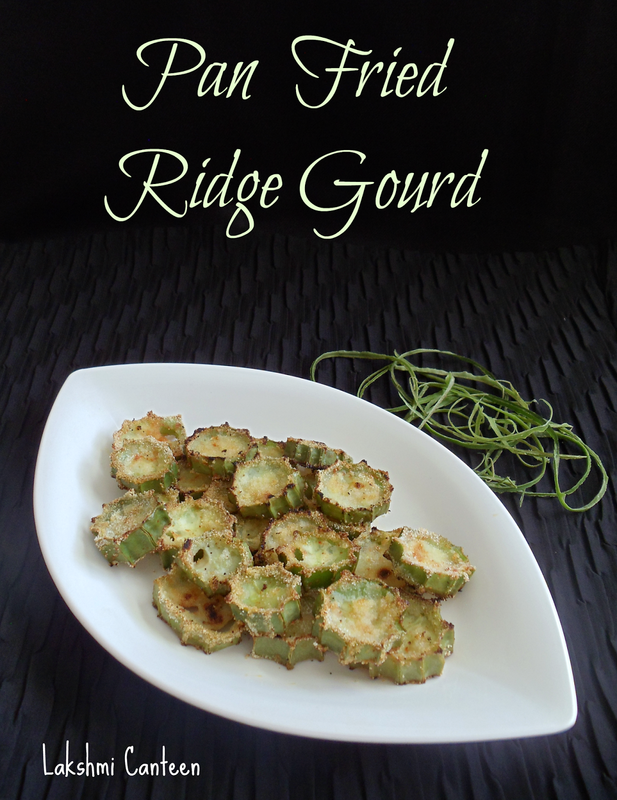 I never enjoyed any dishes using ridge gourd except for the chutney made using its peel. But now my views have completely changed!! 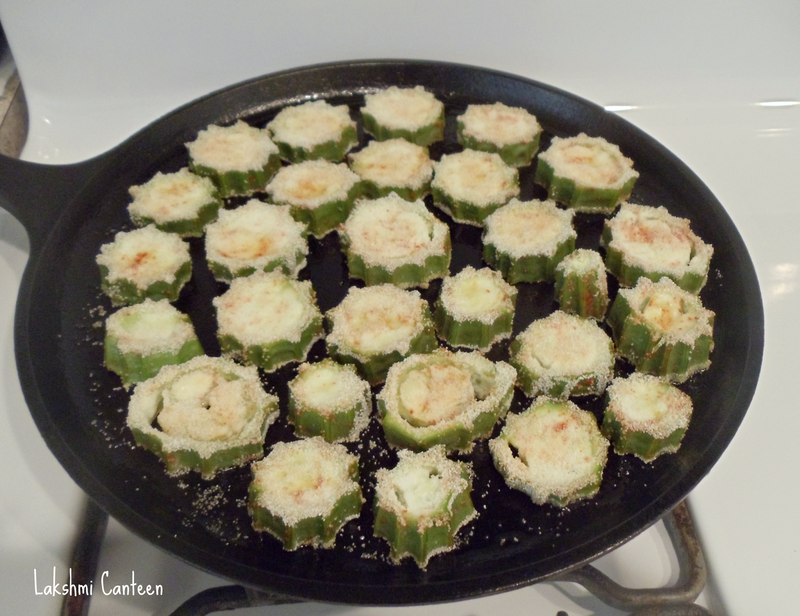 After getting 15- 20 ridge gourds from my garden, I had to find some way to use it. 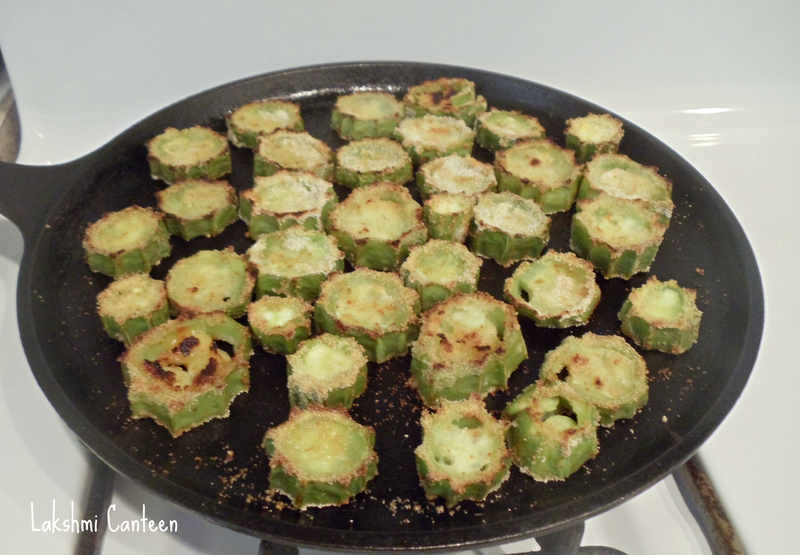 I fried them on a pan (as suggested by a friend) and they tasted so good that I had to post the recipe. Do try making this simple dish and enjoy! Wash the ridge gourd and pat it dry. Then remove the tough ridges using a knife or peeler. 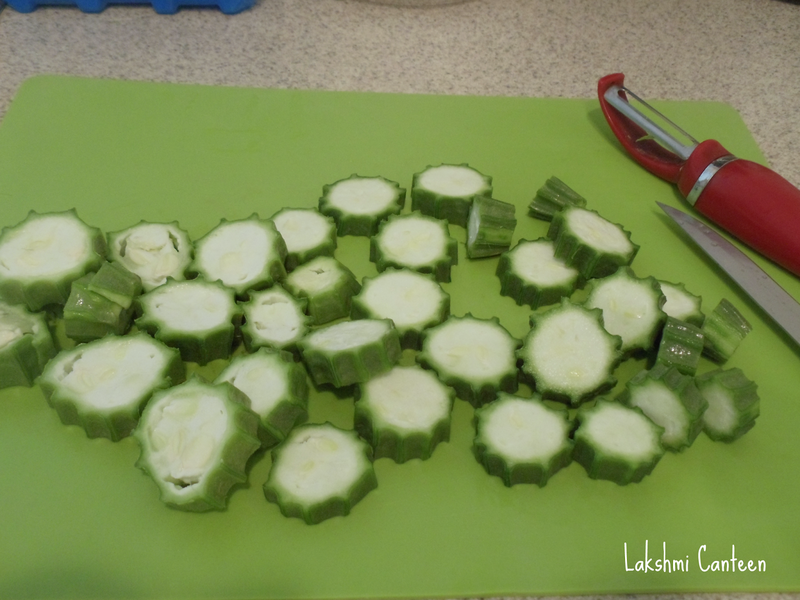 Now make 1/2 inch thick slices of the ridge gourd as shown below. Now spread the slices in a wide bowl or plate. Then sprinkle red chilli powder, asafoetida and salt. Mix such that all the slices gets a coating on both sides. Heat a pan. Then start dipping each slice in rava on both sides. Then place it on the hot pan one by one. Once done, add little oil all over and allow it to cook until it turns golden brown. Then flip each slice using a fork. Add oil, if desired. Then cook on the other side till it turns golden brown. Once done, turn off the heat. Transfer them to a plate. Gosale Podi is ready!! Serve hot along with rice and any curry of your choice. Above measurement serves two people. 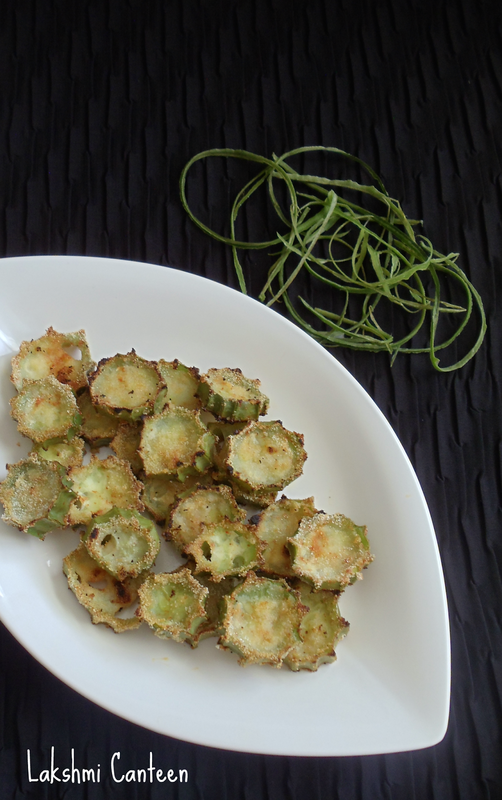 Delicious looking Podi..never tried with ridge gourd anytime..bookmarking it now! Thanks Vani..Let me know how you liked it.